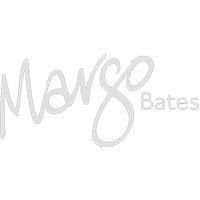 As a publicist, Margo Bates wrote about and told other people’s stories, including what made them experts and why the public should learn more about the people, their product, and their businesses. It wasn’t the same when it came to her writing. Margo felt uncomfortable telling her story. She was uncertain what to say about her writing skills and style, and hesitant to share more details about her charming, eccentric and funny characters. It didn’t take Margo long to develop a simple strategy to create a marketing plan suitable for writers, including herself. The result? Margo’s workshop: It’s all about YOU – Marketing yourself and your work. Participants in this hands-on workshop get to develop their own marketing timeline and action plan. Topics include you and your story, research, market evaluation, and timing, as well as tips for monitoring the plan, and recommendations on how and when to measure the outcome.